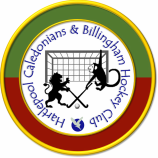 In Association with Hartlepool Caledonians & Billingham Hockey Club and Wise Financial Consulting. Never played want to try? Played before, want to improve? Learn from qualified coaches from Hartlepool's team. Girls and Boys (from age 8). Location: English Martyrs School [October to March]; St Hilds School [April to September]. For full details contact as below.